Dr. Jacquie Smile provides orthodontics treatments for for her patients in Chester, NY that are designed to straighten the teeth, correct overbite issues and fix other problems that may be affecting your smile. Our team of orthodontist specialists can help you correct and straighten your teeth and prevent any future dental issues that may arise in the future. To schedule your appointment for an orthodontic treatment in Chester, NY, please call us at (845) 782-4288 or fill out our convenient contact form to receive more information. Dr. Jacquie Smiles is an orthodontist specialist for children and adults so you can feel confident knowing that an expert is managing your dental care. Her mission is to provide you and members of your family with excellent customer service and outstanding patient experience. She is an Invisalign Elite Premier Provider and has been recognized as a top Invisalign provider every year since 2003. Dr. Jacquie Smiles and her group of professional orthodontists have more than 30 years of experience. Our staff treats you like family and will work to help you feel confident and comfortable about all of your treatments. 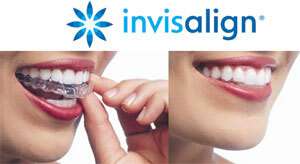 Invisalign clear braces can be used by teens and adults to discreetly straighten your teeth. Invisalign uses a system of aligners that are virtually invisible to others. They are an alternative to traditional wire braces and use the latest 3-D computer technology to create customized aligners for your teeth. Plus, Invisalign braces are removable and can often achieve successful results faster than traditional orthodontic treatments. At the dental practice of Dr. Jacquie Smiles, we offer a variety of orthodontic treatments for adults in Chester, NY who are looking to straighten misaligned teeth, correct overbites and/or underbites. Our orthodontics treatments can improve the look of your teeth, improve your smile as well as prevent the damaging effects crooked teeth may cause. Ask us about our accelerated braces treatments for adults. It is becoming a popular solution amongst adults as a way to speed up the process with rapid orthodontists by avoiding the wait two or three years over traditional wire braces. Our dental clinic offers Invisalign Teen® for teenagers who may need to straighten their teeth, correct overbite/underbite or to simply improve their smile. Whether you’re just entering your teens, a freshman in high school, or ready to graduate and head off to college, you’re ready for a fresh start. You have the opportunity to join new clubs, organizations, sports and make new friends. Invisalign braces for teens are made of a smooth, clear plastic aligners that are nearly invisible! So don’t worry, your friends won’t even notice. In fact, you might even forget that you are wearing it. We recommend the children of the age of seven to have an evaluation to determine if pediatric orthodontic treatment should be undertaken to prevent further damage or misalignment in the future. At this age, it is a good time to make early detection of any dental issues that may arise. As your child grows, we encourage regular check-ups (once every 6 months). This not only helps us watch the development of your child’s teeth, but it helps your child grow accustomed to visiting our office and they become more receptive to treatment. Our dental clinic offers kids video game systems and flat screen TVs so your child looks forward to his/her next dental visit. Our Chester, NY dental office is conveniently located for all of your orthodontics treatments and surrounding Orange County areas. Dr. Jacquie Smiles is an orthodontist specialist for children, teens and adults so you can feel confident knowing that an expert is managing your dental care. Her mission is to provide you and members of your family with excellent customer service and outstanding patient experience. To schedule your appointment for an orthodontic treatment in Chester, NY with our orthodontist specialists, please call (845) 782-4288 or fill out our convenient contact form to receive more information.